A couple weeks ago I went on a trip with just myself and the kids. I’ve never traveled alone with all 3 kids before so I was a little nervous, but we were going to visit my family so I knew I would have help. I think one of the hardest parts about traveling with kids is getting everything packed and not forgetting something important. First I packed for the twins. This used to be a monumental task but now that they are 3 it is much easier. All I needed was to make sure they had enough clothes, especially underwear, and their allergy medicines. I kept reminding myself to put their potty chair in the van. About an hour into my drive that was the first thing I realized I forgot. After packing for the twins I packed all my stuff. Compared to packing for the kids, packing for myself is pretty easy. I almost always forget my tooth brush but miraculously that didn’t happen this time. However, since my husband packed up the kids’ medicines I forgot to pack my own medicine. Good thing it’s something I can live without for a week. I waited until morning just before leaving to pack for the baby since she was asleep while I was packing for everyone else. I packed two bags for her, one bag full of all her clothes, shoes, socks, jacket, hair bows, and a blanket. The other bag had all her cloth diapers and accessories. I packed 5 covers and all of my stay dry and organic inserts, several hemp doublers for overnight, a couple of fitted and pocket diapers, and a couple extra covers. I also made sure to bring a large Diaper Palz wet bag for dirty diapers and several small wet bags for my diaper bag. Lastly I put cloth wipes in two small wipes containers and soaked them in a homemade wipes solution so I would have my wipes ready to use. I didn’t bring any laundry detergent because I planned on visiting the local cloth diaper store (Modern Natural Baby in Ferndale, MI) once I got to my dad’s house and picking up a free sample. After getting everything packed I started stacking all the bags that needed to be put in the van in a pile in the living room. My husband loaded all the bags into the van as I grabbed a few last minute items. I was pretty proud of myself when I made it to my dad’s house after 8 hours. Normally it’s a 6 hour drive, so I made pretty good time traveling alone with three kids. After visiting for awhile it was time to start getting the kids ready for bed. I went out to the van to bring in all the bags. After doing some quick math I realized a bag was missing. I checked the front of the van just to make sure my husband didn’t stick a bag on one of the seats. No luck. The bag with all of the baby’s clothes didn’t make it into the van. You would think this would be when I started freaking out about not having any clothes for my daughter for an entire week. Instead my reaction was relief. I was just so relieved that it wasn’t the bag full of cloth diapers that I couldn’t be upset. Clothes are easily replaced, but my precious cloth diapers are irreplaceable! What about you? How important are your cloth diapers and how bummed would you be if you lost them? 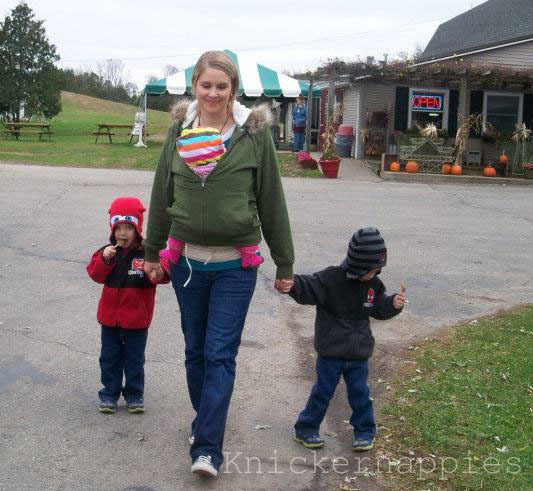 Amanda is a stay-at-home mom of 3 year old, identical, twin boys and a beautiful, 8 month old, baby girl. She is a new found cloth diaper addict who also enjoys sewing and crocheting when the kids aren't climbing all over her. She married an amazing man and enjoys living two houses away from her in-laws. Amanda has a degree in Public Health Education from Brigham Young University. 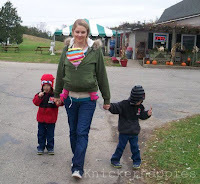 She started blogging to keep her family updated on the crazy and cute things her kids are up to. You find her at The Duke Family blog. I would feel the same way! The diapers would be so much more expensive and inconvenient to replace if lost. And even leaving them at home would be annoying.